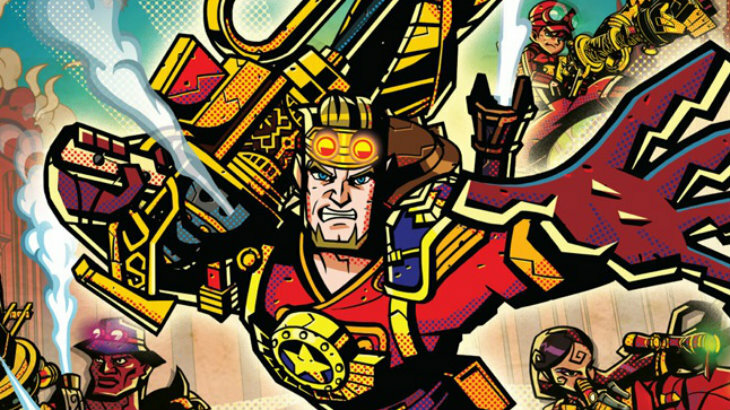 During E3, I was invited to a special Nintendo round table during which time they revealed Code Name S.T.E.A.M. – a new strategy game for the 3DS. Now Nintendo has released a very condensed version of that event, and you can see some of the gameplay. You can read all my thoughts and detailed explanation of the game in our official coverage of the event, but essentially it is a turn-based strategy game with action elements from third person shooters. It was specifically designed to try to overcome many gamers’ aversion to strategy games; doing away with 2D bird’s eye maps, there is a strong focus on exploring the map. The movement and actions are determined by how much steam a character has, making the steampunk aesthetic take on some real weight in the game. S.T.E.A.M. stands for Strike Team Eliminating the Alien Menace and was created by Abraham Lincoln to protect against aliens. Yes, it’s just that outlandish a story. However, who needs a deep and meaningful premise when the game looks this cool? I’m really excited for this game to come out. It feels like a weird cross between Valkyria and Fire Emblem, but without the emotional weight of Fire Emblem. That said, there might be more emotions between the squad members that we don’t know about as of yet. Still, it seems like a more upbeat version of those games, with lighter strategy and a generally more light hearted experience. Previous article These 20 new images for TRANSFORMERS: AGE OF EXTINCTION contain a fire-breathing robot dinosaur!